Pro-justice welcomes a US federal court that has held the government of Syria’s dictator Bashar al-Assad liable for the targeting and killing of an American journalist as she was reporting on the shelling of a district of Homs in 2012. The case was looked at in a civil court in Washington, which issued a decision to award $302.5 million to relatives of the journalist, Marie Colvin. Judge Amy Berman Jackson, in her ruling, called the Assad regime’s policy as a “longstanding policy of violence” that aimed “to intimidate journalists” and “suppress dissent.” She called the killing of Colvin as an "extrajudicial killing". The lawsuit described the attack as part of a plan orchestrated at the highest levels of Assad’s regime to silence local and international media “as part of its effort to crush political opposition.” Some of the evidence supporting the lawsuit was provided by two defectors from the regime. Lawyers for the family included as evidence a copy of an August 2011 fax that they said was sent from Syria’s National Security Bureau instructing security bodies to launch military and intelligence campaigns against “those who tarnish the image of Syria in foreign media and international organizations.” Colvin, who was 56 when she died, was killed in the besieged city of Homs, Syria, alongside French photographer Remi Ochlik, 28, when the building they were in was shelled. Pro-justice welcomes a US federal court that has held the government of Syria’s dictator Bashar al-Assad liable for the targeting and killing of an American journalist as she was reporting on the shelling of a district of Homs in 2012. 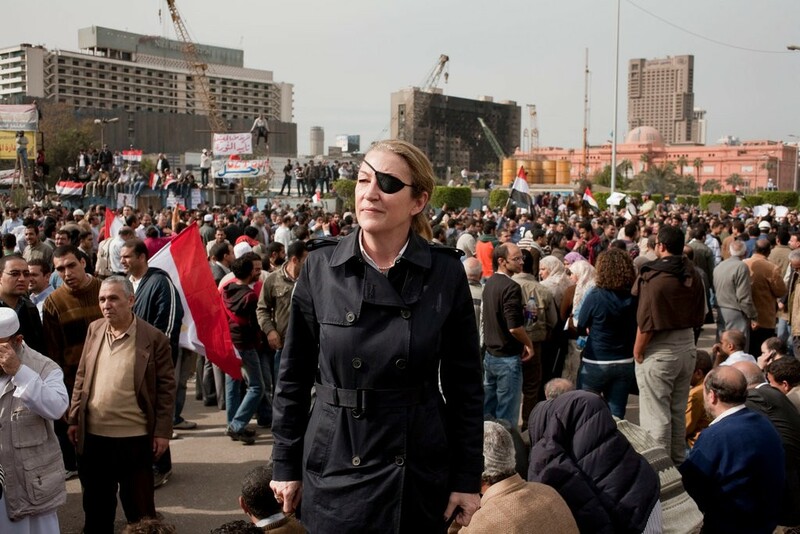 The case was looked at in a civil court in Washington, which issued a decision to award $302.5 million to relatives of the journalist, Marie Colvin. Judge Amy Berman Jackson, in her ruling, called the Assad regime’s policy as a “longstanding policy of violence” that aimed “to intimidate journalists” and “suppress dissent.” She called the killing of Colvin as an “extrajudicial killing”. The lawsuit described the attack as part of a plan orchestrated at the highest levels of Assad’s regime to silence local and international media “as part of its effort to crush political opposition.” Some of the evidence supporting the lawsuit was provided by two defectors from the regime. Colvin, who was 56 when she died, was killed in the besieged city of Homs, Syria, alongside French photographer Remi Ochlik, 28, when the building they were in was shelled. The civil lawsuit was filed by Colvin’s family in 2016 and became the first time Assad’s government is held to account for a war crime and sets a legal precedent. “Our hope is that this case in some ways will provide a blueprint for future cases against the regime” led by President Bashar al-Assad, said Scott Gilmore, a lawyer for the Colvins, after Judge Jackson’s ruling was issued earlier last week. Although it is a civil case, it carries a criminal content and is thus very symbolic. The Syrians would only hope that it could help ease the way for war-crimes prosecutions arising from the Syria conflict and would be a first step to file criminal cases against the Assad regime for the war crimes and crimes against humanity that it has committed both against Syrians and non-Syrians, particularly the press. Pro-justice will remain committed to uncover all the regime’s crimes and to voice the need for holding Assad and his entourage accountable for their deed. Colvin’s family was represented by the San Francisco-based Center for Justice and Accountability, which focuses on human rights litigation. The group’s executive director, Dixon Osburn, said the lawsuit was the first seeking to hold the Syrian regime liable for war crimes. Since it was filed, there has been some similar legal action in Europe, including Germany.